One of the telltale signs you’re rapidly becoming an annoying elder statesman is an increasing tendency to buttonhole much younger people and dispense advice they haven’t sought, don’t want and are unlikely to take to heart. You know the kind of guidance I’m talking about. Always eat your green vegetables. Exercise regularly. Look both ways before crossing the street. Never attempt to domesticate a bobcat. I’ve caught myself serving up a not-dissimilar course of counsel lately. Just about any conversation I have with a decades-younger adult, whether about recent weather or the fates of local sports teams, is likely to be punctuated at some point by a sermon from me about the wisdom of starting to save early. Little wonder. As I’ve grown older and increasingly witnessed the amazing results of depositing money early and often into tax-advantaged-investment accounts, I’ve taken on the bent of one who’s got that old-time religion. Like the most fervent fire-and-brimstone preachers, I evangelize. In my case, it’s about the miracle of compound interest in tax-favored accounts, the need to leverage all those pre-retirement years, the comparative ease with which you can grow a hefty nest egg if you start at an early age, and so on. People being people, and the temptations to do crazy things with money being what they are, not many of my unwilling listeners are likely to even look for a high-interest savings account or seek the best credit cards, let alone actually follow the lessons I’ve spouted. I wish they would. And 30 years from now when facing retirement, they may wish they had. But I’m realistic. And if I keep up with the pontificating, I know I’m more likely to be viewed as the old town crank than a savior. That’s why I’m taking a sabbatical from the personal finance pulpit for at least a fortnight and simply recommending the messages of a trio of authors who are out with new books on being smart about how you manage your moolah. It’s best to let them spread the gospel. They have much better credentials than I.
Motivate Your Money! by Mac Gardner. A two-decade veteran of the financial services industry, Gardner contends too many folks are either illiterate when it comes to personal finance or don’t have retirement plans in place. His new book lays out “Five Steps to Financial Success, ” which are plan accordingly, spend cautiously, save diligently, invest wisely and gift generously. Underpinning all is the notion that managing money is simpler than assumed. 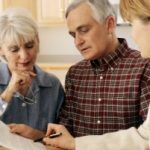 “Personal financial planning does not need to be complicated, and it shouldn’t be an intimidating experience, ” Gardner has been quoted as observing. He notes that with corporations no longer providing pensions, the onus to provide for one’s retirement has moved to the individual. Being smart about that task is all the more important given the longer lives many of us will live, and the fact inflation will not be kept at bay forever. Motivate Your Money! should help many readers by offering straight-forward lessons on financial planning basics, budget planning, savings strategies, investment management, insurance planning, retirement planning, tax management and estate planning. As one reader of the book has noted, many people are afraid to take control of their financial lives until it is too late for them to do so. What Gardner brings to the table is the motivation to get started way earlier than that. Your Life, Your Money, Your Choice, by Steve Gehrmann. In his new book, consumer loan officer Gehrmann avoids the themes adopted by too many investing gurus. He doesn’t pitch the idea of getting rich quickly, or trumpet the notion of retiring a millionaire. Instead, he suggests the recipe for greater wealth, success and happiness is to make small changes to what you already do. The Truth About Retirement Plans and IRAs, by Ric Edelman. Novice and veteran investors alike stand to absorb an education by reading the books of this financial advisor and author, whose weekly radio show is so entertaining and enlightening, it’s ensnared me as a devoted listener for most of the past decade. His latest book, subtitled “All the strategies you need to build savings, select the right investments, and receive the retirement income you want, ” is a fun-to-read volume filled with easy-to-follow charts, graphs and tables, as well as cartoons, illustrations and amusing quotes from folks like funnyman Steve Martin. In 26 breezy chapters, Edelman explains why retirement plans exist and how anyone can leverage them. 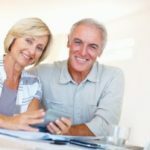 He expounds on the fundamental concepts that must be understood before investing, and the best ways to handle money in retirement plans and IRAs. 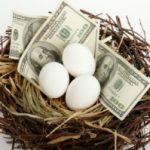 Bottom line: The steps he outlines can help readers accumulate hundreds of thousands of dollars in workplace retirement accounts and IRAs, a figure that dwarfs the approximately $25, 000 the Employee Benefit Research Institute estimates the typical American owns in retirement savings. Pick up one or all of these new books, and you may find yourself turning the page and embarking on a bright new chapter in your own financial story. Thank you for mentioning my book, “Motivate Your Money!”. We share a similar passion when it comes to spreading the word of financial literacy. Thanks for stepping off the pulpit and mentioning my contribution to the congregation.